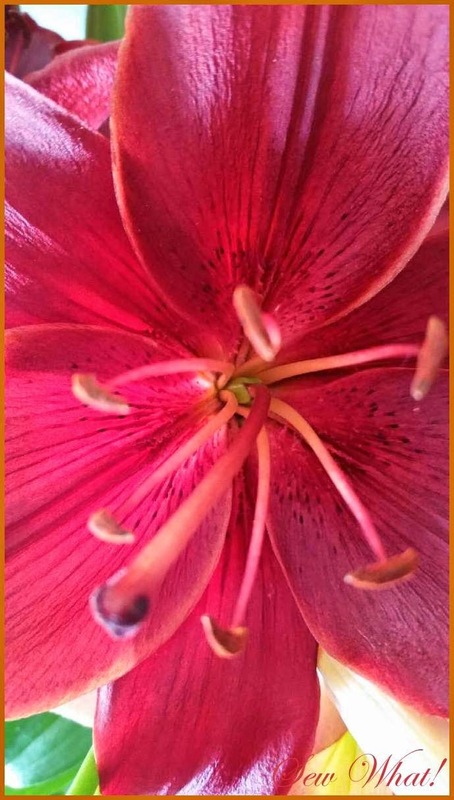 These are some shots of flowers growing in my father's back yard. They are beautiful! 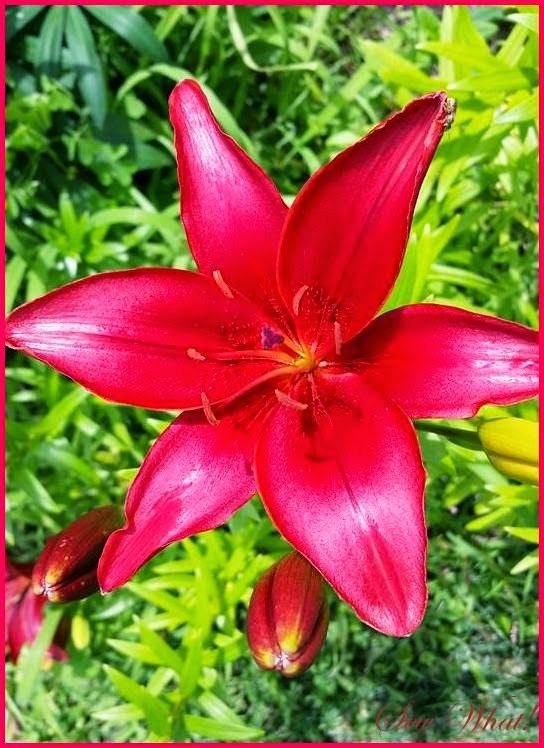 Today I brought home a very large bouquet of these large red lillies! 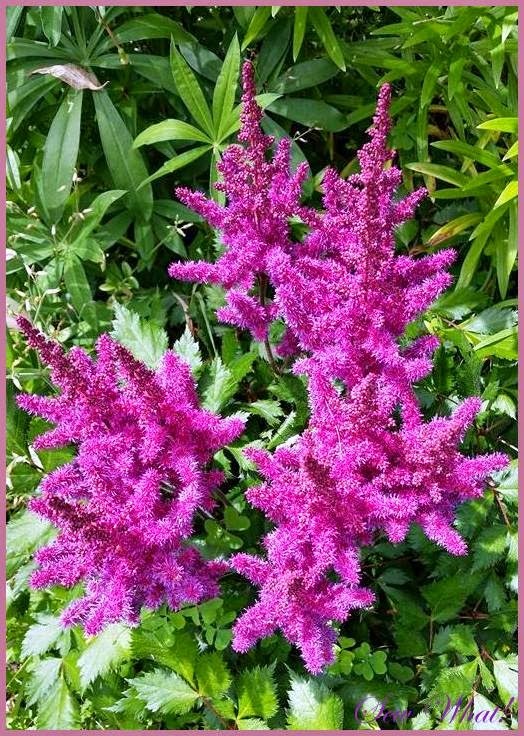 My father was cutting back the plants around this Astilbe because it was getting too crowded. 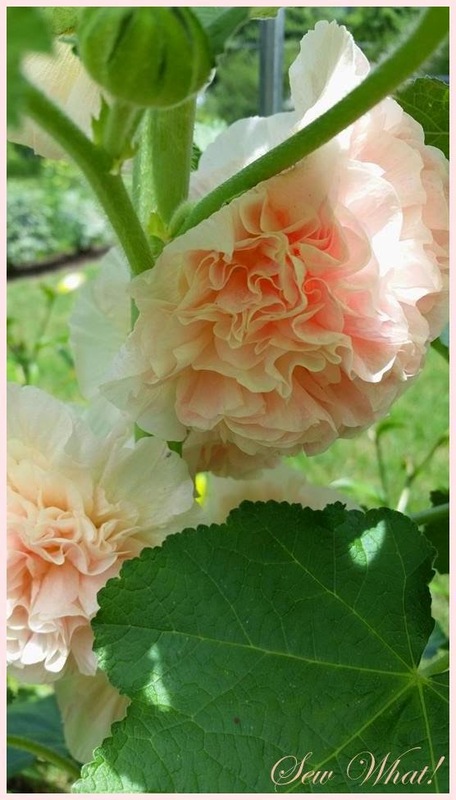 These double hollyhocks are gorgeous! 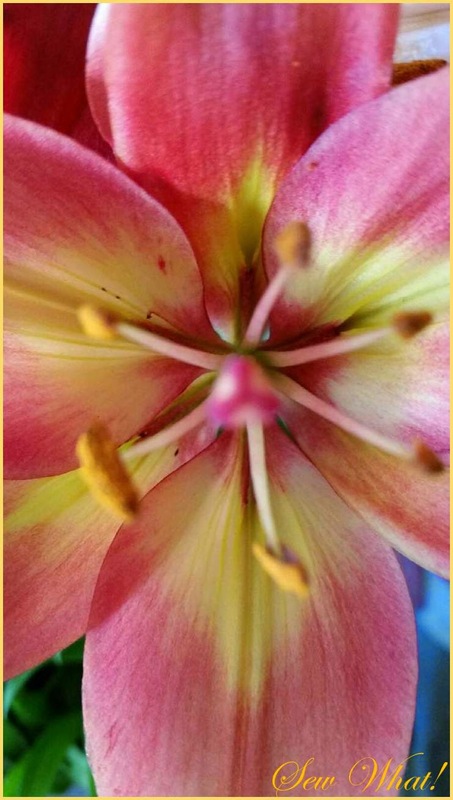 I love this pale shade of pink. 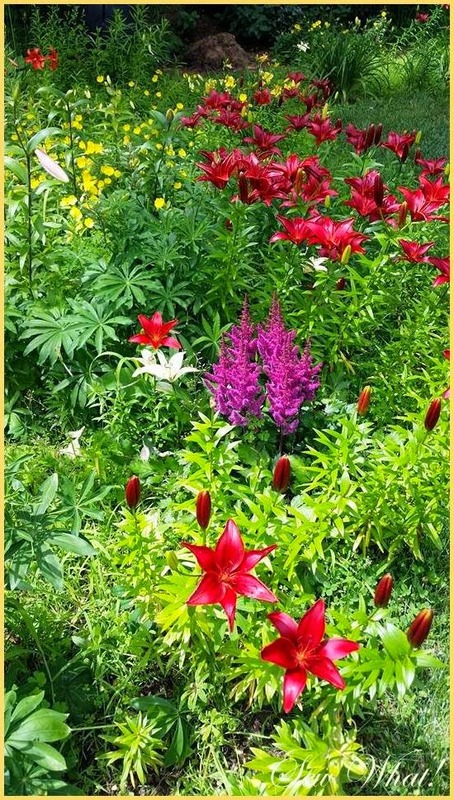 So much eye candy in this beautiful garden! I was a bit snap happy with my camera! Another feast for the eyes! 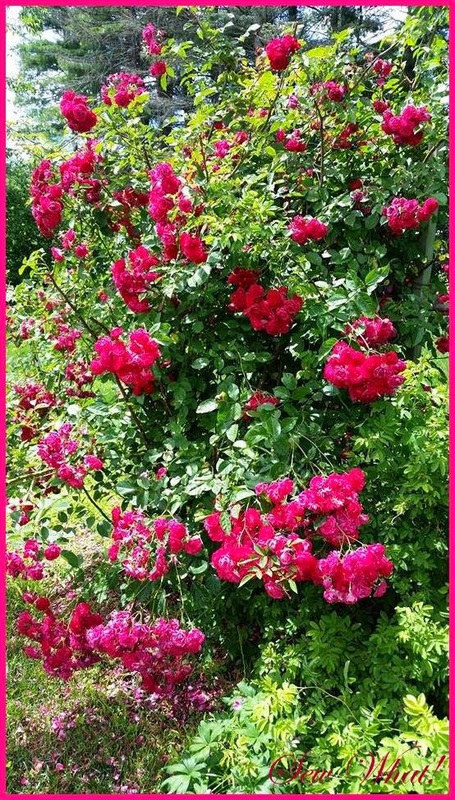 His beautiful rose bush! Many blooms were already past their prime....I brought a couple stems of these roses home too! 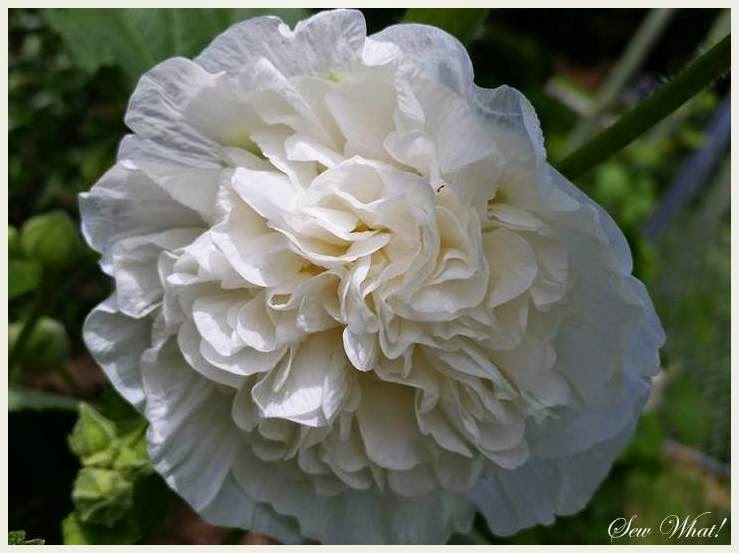 Last but not least, another hollyhock. 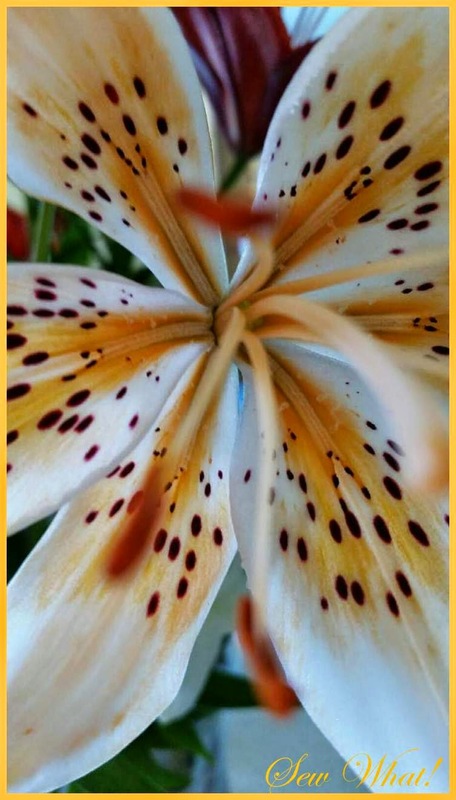 This white bloom is exquisite! After a visit with my parents, I went home and found a package waiting for me. It was from Diane at The Checkered Apple. See post: click here! As you can see from her post, I won her 4th of July Patriotic Giveaway! 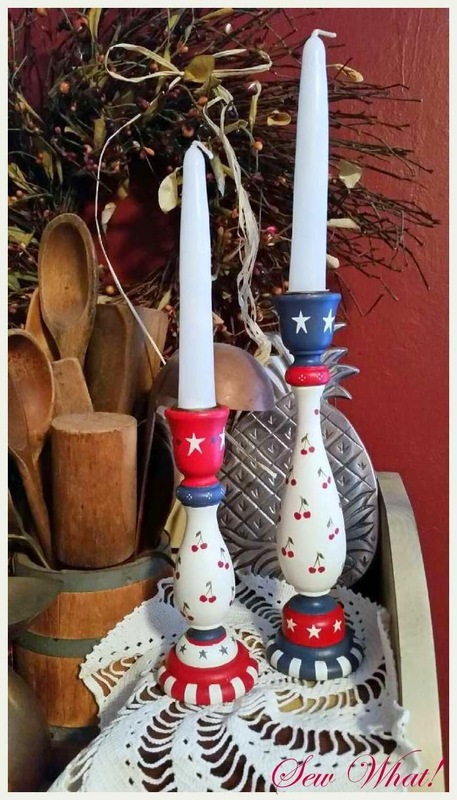 This sweet little pair of candlesticks that she painted arrived at my home today! I was thrilled! They are so cute! I put them in my kitchen so I could enjoy Diane's handiwork! She is so talented! Sitting next to my patriotic angel (now my lucky angel), they look adorable! I just love the little cherries she added. It was fun waiting for them to arrive. Diane and I exchanged several emails over the past 4 days while the package was in transit. She was a bit concerned that the candles would melt since it has been so hot. They took a trip across the country (she lives on the west coast and I live on the east coast) and despite the many miles between us they arrived in one solid piece! No wax oozing from the package! Thank you so much Diane! 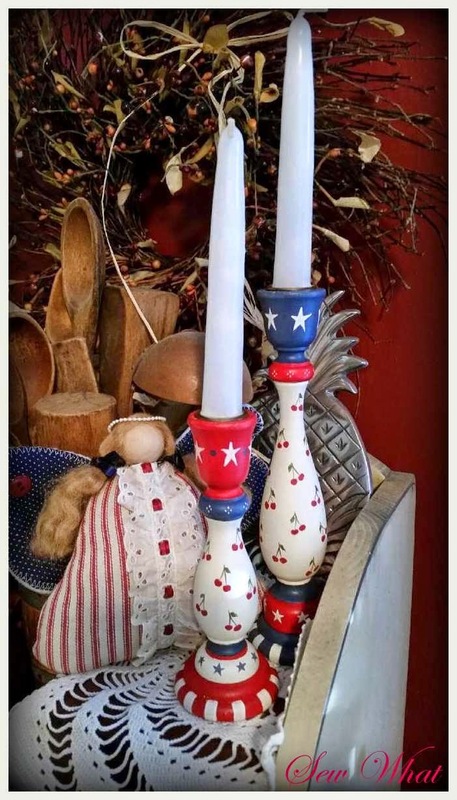 I enjoyed participating in your Patriotic Linky Party and it was exciting to be the winner of your sweet patriotic painted candlesticks. I am looking forward to next year's party already! Hope everyone will join in!